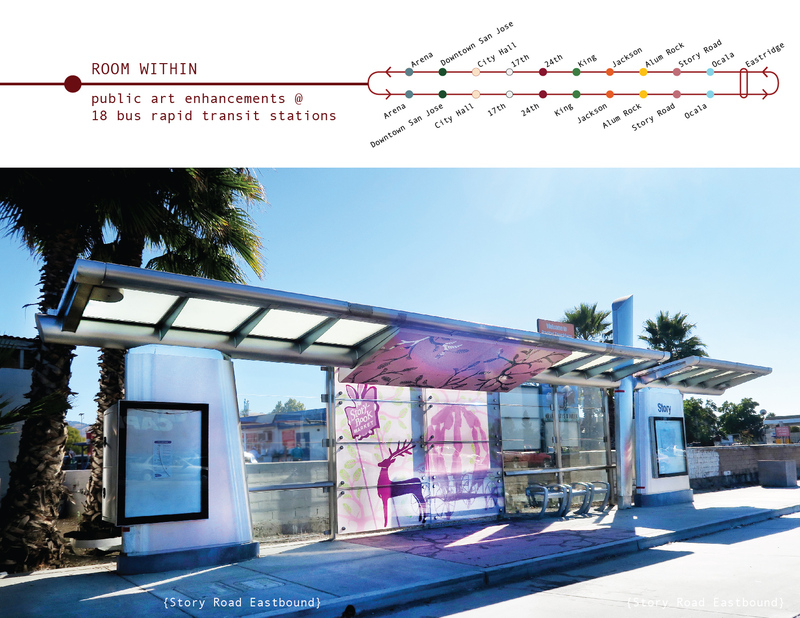 “Room Within” is a series of art enhancements to 18 bus shelters along the Santa Clara – Alum Rock Bus Rapid Transit Line in San Jose, CA. 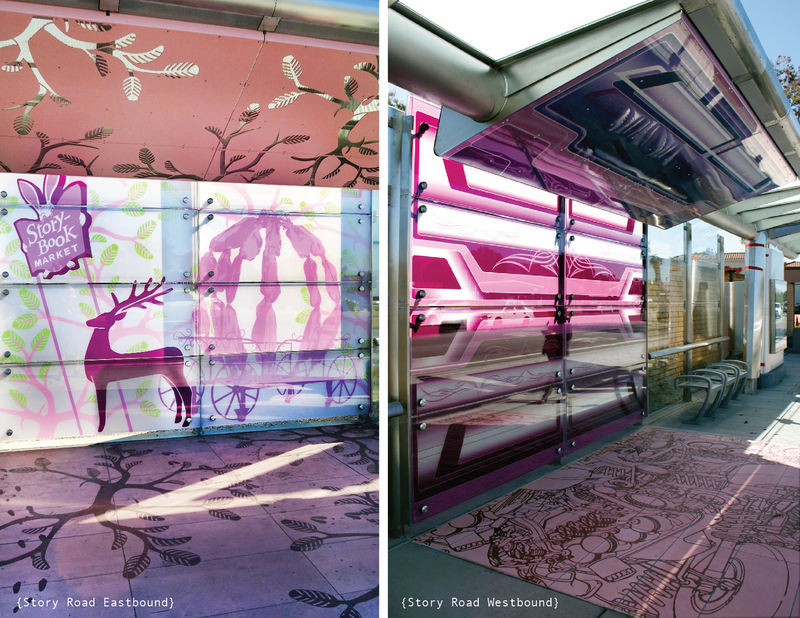 The artwork at each station consist of three elements that create distinct spaces within the shelters: a glass windscreen, metal ceiling panels, and concrete pavers. 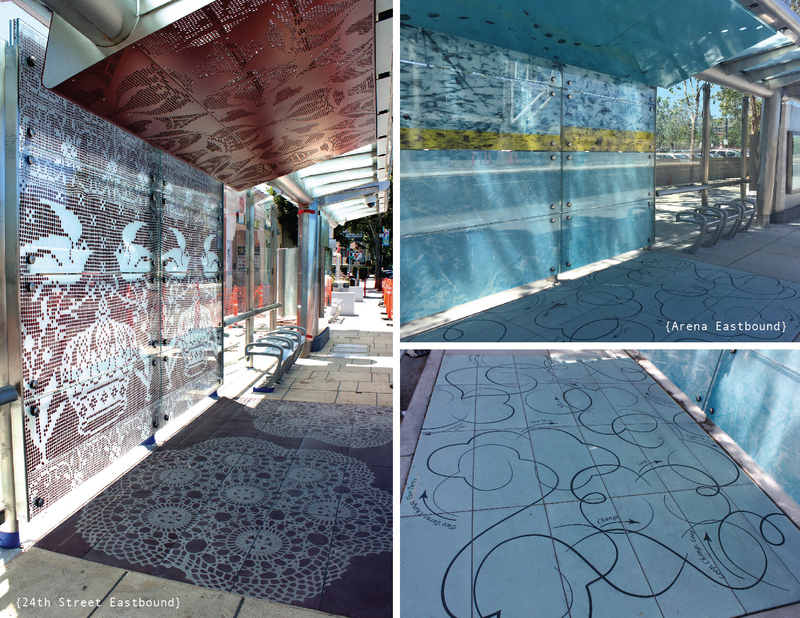 The details and materials of these treatments remain the same at each shelter and reinforce the identity of the transit line as a whole. However the patterns that were developed for each shelter use content uniquely related to their immediate neighborhood: detailed research and community outreach informed topics that are sometimes historic, and other times contemporary in their reference.